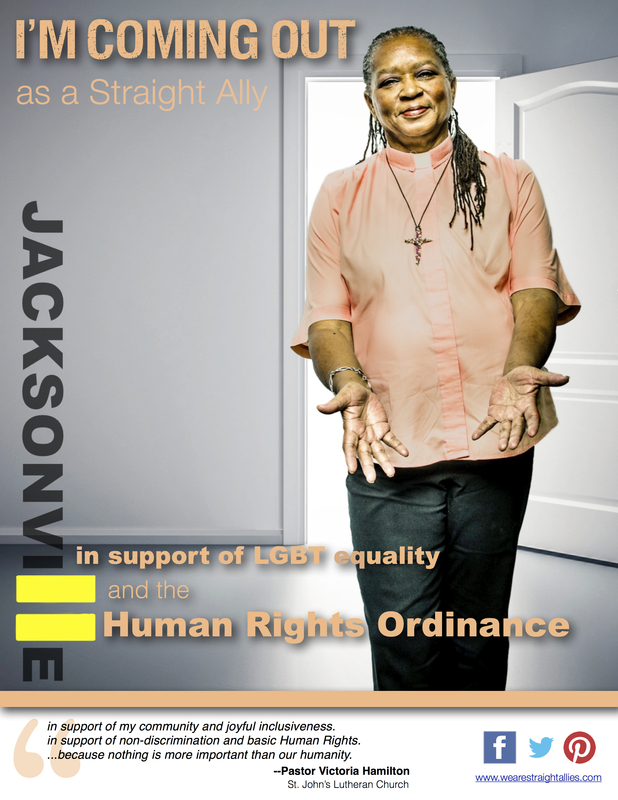 JACKSONVILLE, FL – Three local community advocates Chevara Orrin, Dan Bagan and Laura Riggs have created a straight ally ad campaign to raise awareness and encourage support of the Jacksonville Human Rights Ordinance. The ordinance, which was rejected last fall by City Council, would have expanded the city’s human rights ordinance to protect gays and lesbians from discrimination. 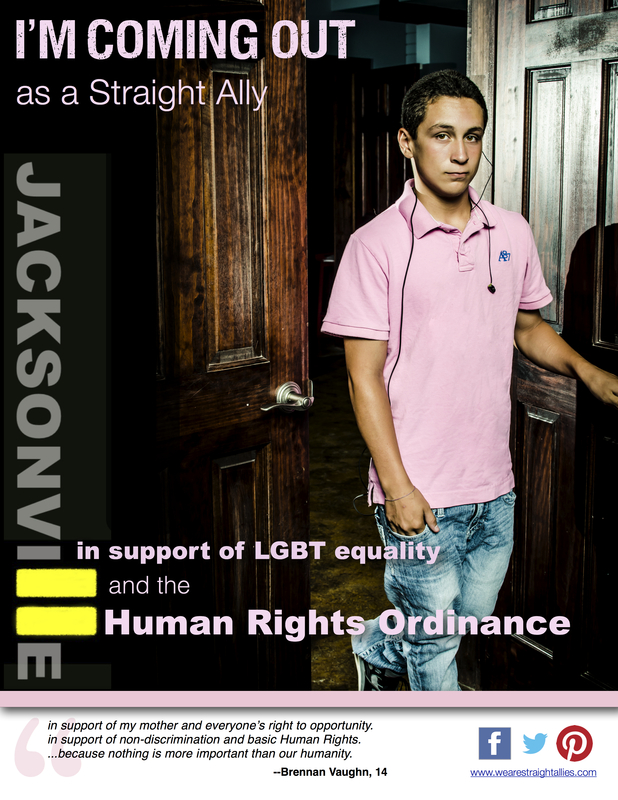 The website, www.wearestraightallies.com, features several ways for everyday citizens to become involved including signing a petition to support of the Human Rights Ordinance or contacting Jacksonville City Council members to voice support for the passage of the ordinance.